The multi-talented Kizzy W has some other hidden talents that are outside of music. The songwriter, singer and producer had a show recently in Iowa. 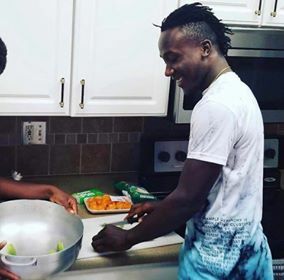 Before his event, he made his way into the kitchen of Liberian blogger Lydia Freeman and cooked a meal for her family. The singer cooked some yummy fufu with soup. Check out the video.